Kilburn High Road is diverse, lively, and full of surprises. Over the last five years residents and community groups have worked to foster a sense of place through projects including arts and enterprise workspaces, living streets initiatives and other schemes to improve Kilburn. But with heavy road traffic, a transient population and its location divided between Brent and Camden, the unique character of the High Road can get lost. Local businesses have little support and there is no obvious network to connect them to residents or community groups. We would like to showcase Kilbun's vibrant range of businesses as well as encouraging new independent traders. As a first step, we want to install a digital notice board to highlight the offerings of local retailers, events and community groups, acting as a focal point for residents and visitors. The board will allow retailers to advertise affordably as well as providing an attractive platform for featuring local information and talent. A digital notice board will allow us to showcase culture, opportunities, talent and creativity from across Kilburn. 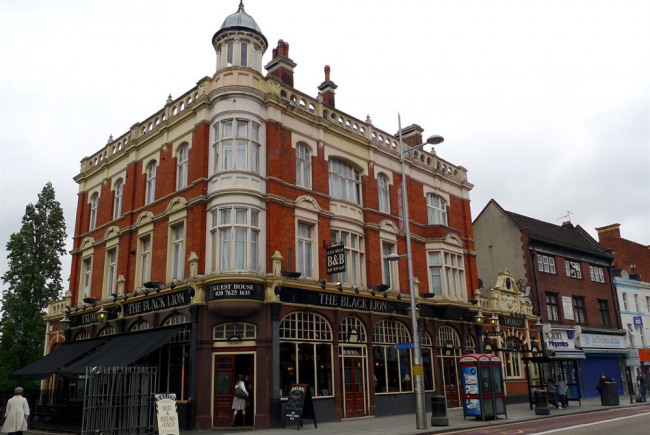 Kilburn High Road is one of the busiest and largest high streets in the UK, and with all the bustle it's easy to overlook much of what Kilburn has to offer. A digital noticeboard helps us to draw out this sometimes-hidden character of Kilburn, putting the spotlight on those who help give the area it's distinctive feel. But it will also help independent retailers attract more custom, and local groups and artists to better connect up with a supportive community! This will be a bottom-up initiative, managed by Kingsgate Community Centre, working alongside the Kilburn Neighbourhood Plan Forum and South Kilburn Trust. Because of this it will be able to avoid some of the tricky challenges of working across boroughs. Staff and supporters of Kingsgate will manage the procurement process for the hardware. Kingsgate Community Association is a registered charity and a Company Limited by Guarantee. It was initially set up in 1982 by a group of local people who wished to establish a community centre in what was then a derelict building, in a common effort to provide low-cost activities to people who would not otherwise be able to access them. We currently offer around forty-five different services and activities and are committed to the delivery of five long-term projects. We are committed both to the people who live and work around us, as well as towards creating a positive and uplifting local environment, for those around us. Project Delivery Manager: Kingsgate Community Centre The Project Delivery Manager takes legal responsibility for receiving and spending the funds raised and ensuring the project is delivered.